Date: Saturday, 19th February 1983. Scorers: Leeds United: Butterworth, F. Gray (pen), Graham. Chelsea: Walker, Fillery (pen) E. Gray (o.g.). 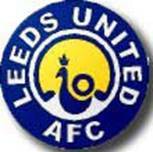 Leeds United: Lukic; Aspin, E. Gray; Sheridan, Hart, Dickinson; Thomas (Hird), Connor, Butterworth, F. Gray, Graham. 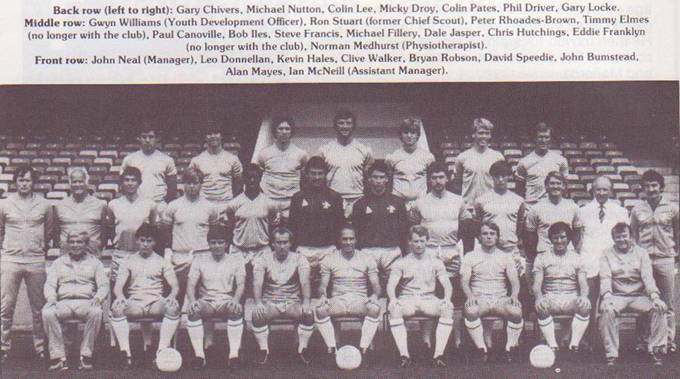 Chelsea: Francis; Lee, Jones; Driver (Chivers), Hutchins, Pates; Fillery, Walker, Speedie, Mayes, Rhoades-Brown. Referee: K. Redfern (Whitley Bay). 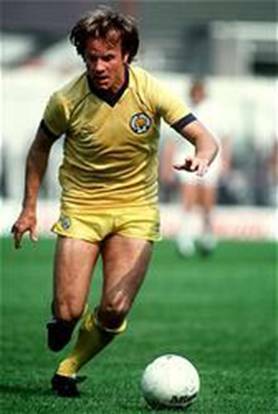 Eddie Gray was desperate for his Leeds United side to develop a winning formula when Chelsea visited Elland Road in February 1983. The player-manager was hoping to build a sequence of victories that might take his side back into the promotion hunt as serious contenders. Although the season still had one-third of its programme still to run, those hopes were fading fast as Chelsea went away from Elland Road with a point from a thrilling 3-3 draw, with thanks in the end to an own goal by Gray himself. Victory from this game would have put United level on points with fifth club Oldham Athletic but the draw left them thirteen points adrift from third placed Fulham. That was a situation United were always going to find difficult to rectify over the remaining weeks of the season and by the end of the campaign they had to be content with eighth place. It was ironic that on a day when Elland Road fans in a 19,365 crowd witnessed a thrilling, entertaining battle, United should concede a goal in the last seconds of the game to give Chelsea their draw. The United player-manager had no one else to blame other than himself for the slip he made to concede an own goal. 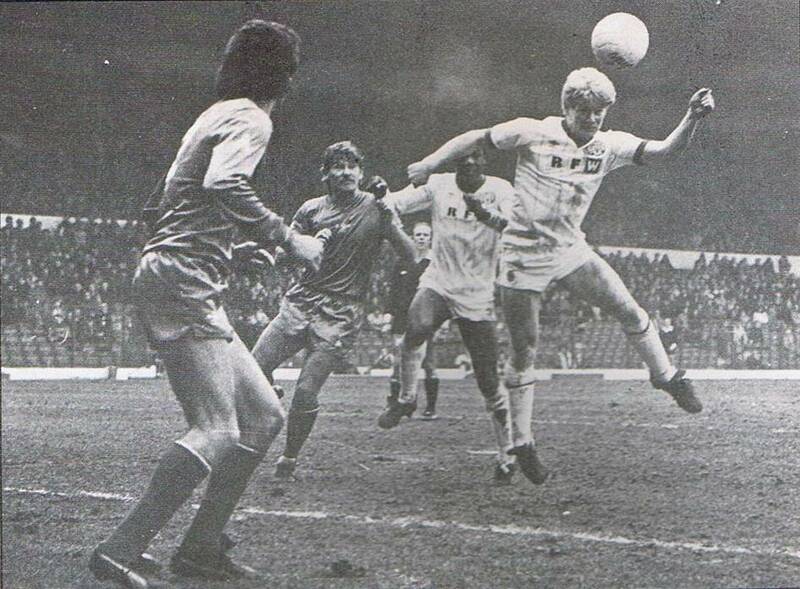 “I should have cleared the ball but I just lost my balance,” Eddie explained, but it was a situation that his players should never have allowed to develop anyway, even though they had gone behind to a twenty-first minute goal from Clive Walker, who took advantage of a defensive mistake from Martin Dickinson. Gray had played a part in the thirty-fifth minute equaliser when he combined with brother Frank to give Aidan Butterworth the opportunity to power home a tremendous header. 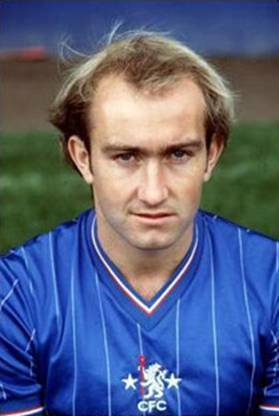 Paul Hart conceded a penalty for a tackle on David Speedie in the fifty-first minute from which Mike Fillery put Chelsea back in the lead before another dubious looking penalty brought United’s second equaliser. 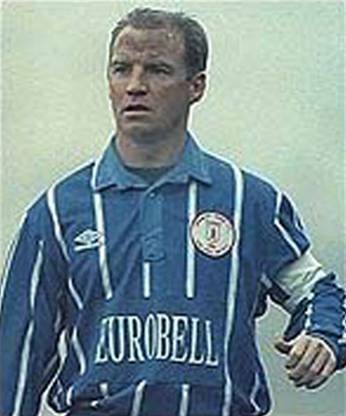 This time it was Speedie who felt aggrieved, claiming the ball had hit his thigh and not his hand, but the referee awarded a penalty from which Frank Gray duly hit a seventy-seventh minute equaliser. Two minutes later United were in the lead for the first time in the game when a twenty-two-yard shot from Arthur Graham zoomed past England youth international goalkeeper Steve Francis. That was how things remained until those last few seconds when Gray’s slip allowed Chelsea to draw. There was a time when there was more to football than stocks, shares and multi-million pound loans. And that time was not too long ago. Indeed, it was only fifteen years ago that Leeds and Chelsea were vying with each other for the title – the Second Division title. 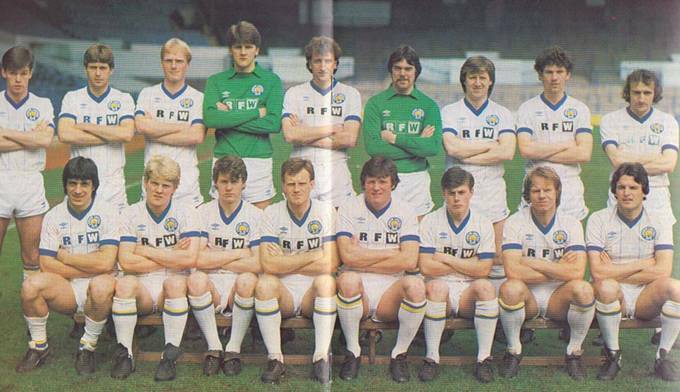 The two clubs met each other three times during United's eight-season stay in the old Second Division, the first of which saw a thrilling 3-3 draw at Elland Road in February 1983. As was commonplace for games involving Leeds and Chelsea in the 1980s, the pre-match hype surrounded the potential for violence involving the two sets of supporters. For the first meeting between the two, in October 1982, Chelsea chairman Ken Bates even took the unusual step of using the front cover of the programme to plea for calm. His words had already gone unheeded, though, and there were serious clashes between rival fans at Piccadilly and Earls Court prior to the game. The trouble was even featured on BBC children's programme Blue Peter where a police dog was handed a bravery medal for its part in stopping proceedings! United chairman Manny Cussins was also concerned ahead of the return and he said: "We had information coming from our end as to what certain people planned to do and we had to be prepared.” The threats included a picture of a badly maimed football fan which arrived at Elland Road on the morning of the game. It was alleged the letter was sent by Chelsea fans. United also received a tip-off, wrongly as it proved, that the club's notorious service crew was to disband after the game and they would be looking to go out with a "bang". The police took the unusual steps of herding visiting fans into the ground early and by 1pm there were an estimated 3,000 Chelsea fans packed into the Lowfields Road terrace. However, despite the hostile atmosphere, the only sparks that flew were on the field in what was a thrilling clash. United boss Eddie Gray was desperate to find a winning formula having watched his side win just one of their last eight games. They were fast becoming the draw specialists in Division Two and a late equaliser – an own goal by the player-manager – saw them slip further off the pace. 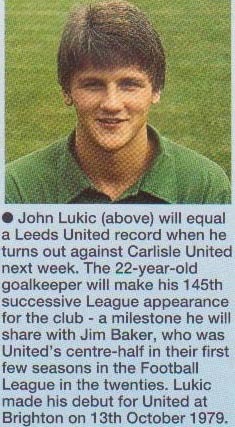 Gray stuck a leg out and diverted a Colin Lee cross beyond the reach of John Lukic to hand Chelsea a valuable point as they looked to step up their own bid for promotion. The player-boss explained: "I should have cleared the ball, but just lost my balance." Gray started the game playing up front as part of an experiment, but he reverted to the back after a slip from Martin Dickinson allowed Clive Walker to open the scoring for Chelsea on 21 minutes. 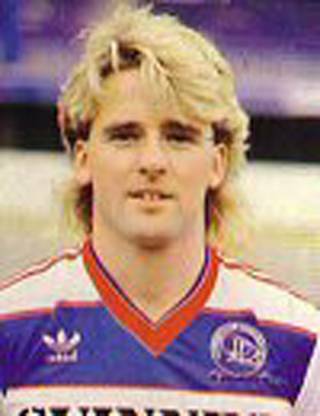 United levelled when Gray combined with brother Frank to set up Aidan Butterworth, but Paul Hart was adjudged to have fouled David Speedie and Chelsea were soon back in front courtesy of a Mickey Fillery penalty. However, United were awarded a dubious penalty themselves – Frank Gray converting – and Arthur Graham fired them ahead for the first time in the game just two minutes later with a 20-yard pile-driver. That was the cue for Leeds to take their foot of the gas, though, and Chelsea hit back with a late, late goal. The two FA observers among 19,365 at Elland Road for the game saw how a major police operation can effectively deal with a potentially explosive crowd. The police operation was the biggest of the season at Leeds and though one senior officer said it was not policy to disclose numbers involved, he did admit. “We are pleased with ourselves and the way things have gone.” Chief Superintendent Eric Walker, who ran the operation, said that although around thirty people had been arrested, mainly for public order offences, there had been no serious crowd disorder. The Leeds Director, Maxwell Holmes, was delighted. “Once again a firm and well-run police operation was a large part of the answer,” he said. The only noticeable skirmish inside the stadium was in the South Stand, and involved a ploliceman’s helmet which was being thrown around. “we recovered it,” said a senior officer. Leeds have received a letter from the FA detailing recommendations following the inquiry into the riot at Derby and are studying its contents. When Eddie Gray, of all people, lost his balance in the last seconds of the match against Chelsea, of all teams, it was probably enough to end Leeds United’s hopes of a realistic push for promotion for the season. Thirteen years previous, Eddie Gray had shown unbelievable balance on a mud heap of a Wembley pitch but Chelsea still gained what was to be a most significant Cup Final draw. Gray’s balance went in this match as he tried to stop the ball near the Leeds goal-line. He turned the ball into his own net to give Chelsea a draw of equal long term significance. It was a cruel and ironic turn of events for the thirty-five-year-old Player-Manager. 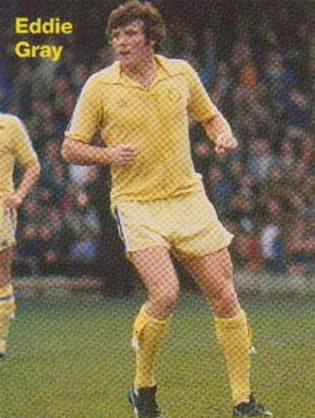 Cruel because Gray had been making such an engrossing fight to stabilize Leeds, both on and off the field, since he had taken charge seven month previous with no money to work with and under the shadow of the hooligan element of the Leeds crowd. Ironic that his first goal of the season should be an own goal on a day he began as a striker to help a shot-shy attack which came good with the first three goal haul at home in the League for nearly four months. 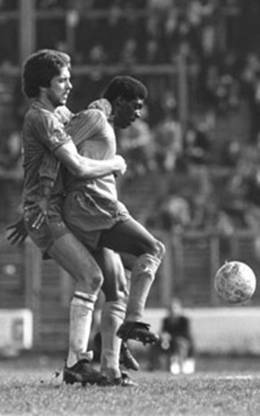 Chelsea ran the opening twenty minutes and when Neil Aspin and Martin Dickinson messed up a straight forward clearing operation in the twenty-first minute, it was enough to let in Clive Walker for the opening goal. Eddie Gray immediately abandoned his role as the spearhead of the attack to see if he could stabilise the defence. But the goal seemed to pinch Leeds into positive action. They hit back with the sweetest move of the day, ten minutes before the interval, when the Gray brothers opened up the way for Aidan Butterworth to head his tenth goal of the season. Paul Hart, David Speedie and Peter Rhoades-Brown were booked for tough challenges. 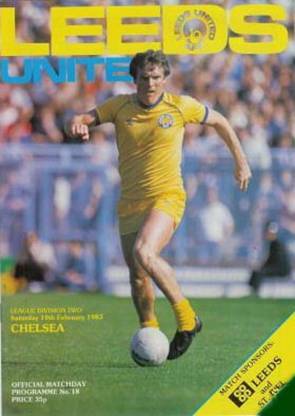 John Sheridan, Frank Gray and Arthur Graham, for Leeds, and Mike Fillery, Clive Walker and David Speedie, for Chelsea, all made a big impact, as the game positively buzzed along. Two point-blank saves from Aidan Butterworth kept Chelsea level, but it seemed they must break, as Leeds opened the second half with intense pressure. 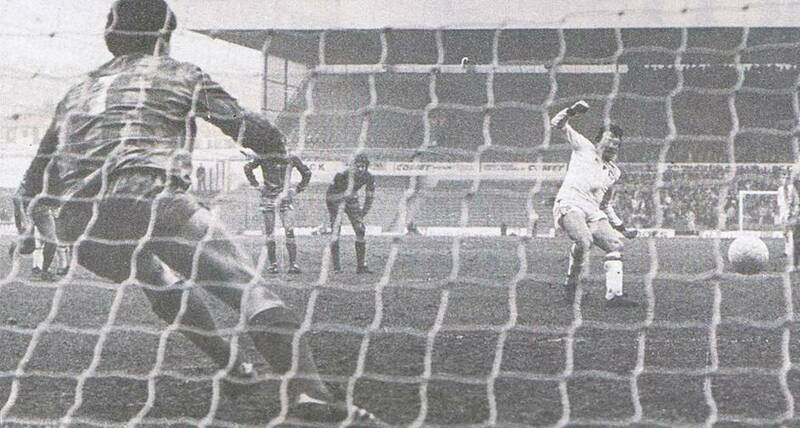 Then in a fifty-second minute raid on the Leeds goal, the ball struck the referee as Leeds tried to clear. 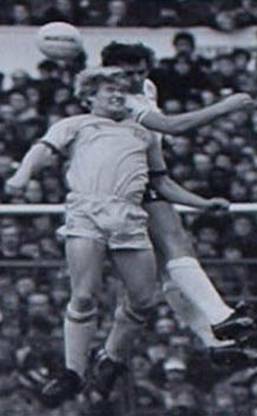 When David Speedie went through on the rebound he went down under Paul Hart’s tackle. The penalty award seemed harsh but Mike Fillery calmly put Chelsea back into the lead. 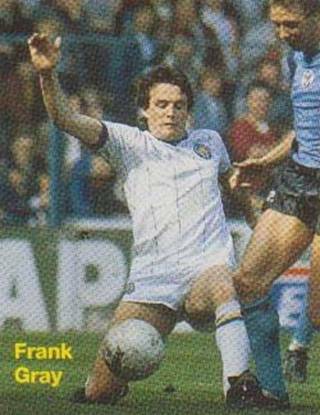 It was no harsher than the hand-ball decision against David Speedie thirteen minutes from the end which brought a penalty equaliser for Leeds by Frank Gray. Inside another ninety seconds a twenty-five yard rising drive from Arthur Graham nosed Leeds into the lead for the first time and the see-saw contest seemed to have taken its final swing. But in the ninetieth minute Chelsea were still snapping hard to stay in the game. When Alan Mayes and Colin Lee combined to push the ball across the face of the Leeds goal, Eddie Gray was the last man in line. “I felt I had the chance of stopping the ball, but just lost my balance,” he explained. “We had a bit of a lack of concentration. I hope we learn from mistakes like that,” he said. But Leeds may have run out of learning time, in what could turn out to be a long and drawn-out season. 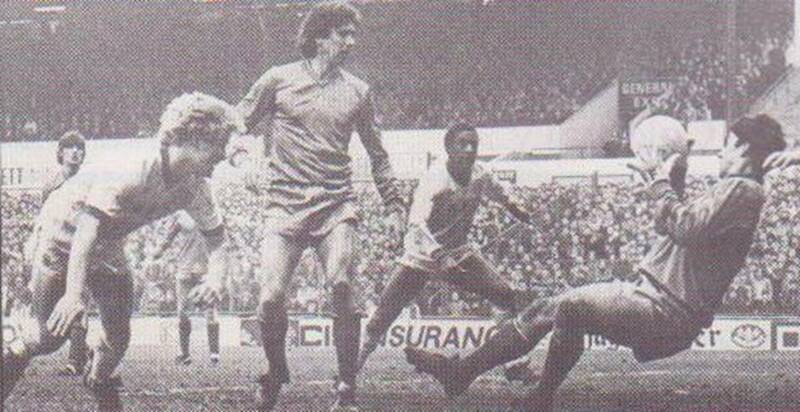 Frank Gray scores United’s second goal from the spot to bring them level for the second time. Gary Hamson, John Donnelly, Kevin Hird. Tommy Wright, Arthur Graham, Frank Gray.